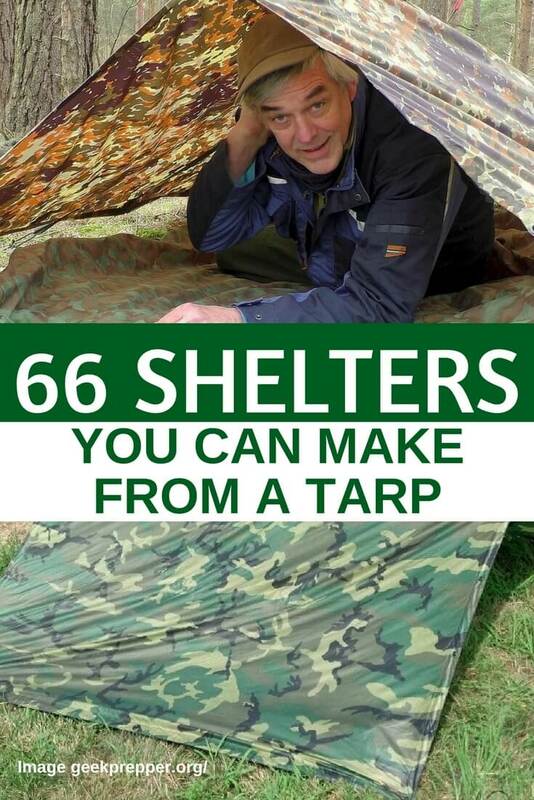 Having a tarp as part of your bug out bag is essential, it’s lighter than a tent, easily carried on your backpack and so versatile… you can make 66+ shelters with a single tarp. 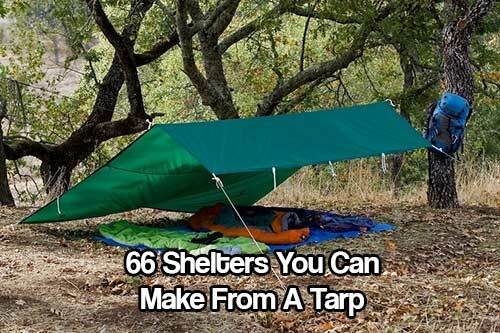 I personally have a 10 x 10 blue tarp but I want to purchase either a brown or camouflage tarp just to blend in more if I had to bug out. Just check out all the different shelters and structures you can make. Amazing. Try some out and if you do, please take photos and post them to our Facebook wall. We would love to see them. A tarp can also come in very handy if you want to add an extra layer of waterproofing and shade to a tent if you are camping.